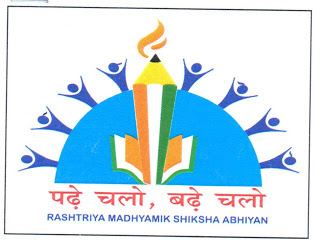 Rashtriya Madhyamik Siksha Abhiyan (RMSA) was a scheme launched in 2009 with the aim to improve the nation’s secondary education rate. There are so many in the country that leaves education because of poverty or other causes. This scheme is meant to make them come back to education. This way the nation can become literate and more employed youths can be found. One of the major hindrances to the secondary education is child labour which is again caused because of poverty. However, strict laws and schemes like RMSA are means to fight this evil. It must be noted that from 2005-05 the enrolment rate at schools was barely 52.26% through this scheme it was envisaged that the rate would increase to 75%. It aims to bring as much as 75% of the students from classes IX-X under enrollment. This figure is aimed to be achieved for the course of the 5 years from its establishment. This scheme also aims to remove the socio economic or gender barriers from the society. We know that many people in the country are unable to continue their studies because of biases. This implementation aims to free the country of such discrimination. This scheme has been implemented by the State Governments and by the societies that are specially designated to make sure that this program achieves fruition. For this reason several agencies have been appointed by the State Government. The funds are released by the central government and passed to the implementing agencies directly. To make things transparent and to ensure that the scheme is implemented correctly, the State’s share is also released by the governments. This share has to be passed on to the state government by the agencies. The funding pattern for this scheme was quite direct. During the 11th Five Year Plan, 75% of the expenditure for the project was borne by the Central Government and 25% was to be borne by the State Governments. Only exception was in the case of the North Eastern States. Their share was distributed in the ratio of 90:10 by the Central and State Government respectively. That the existing schools have expanded their capacity to hold people. they will also see to it that the state government is granted the civil works to construct new schools. For this purpose, the State government will also be able to access lower CPWD rates to construct. They will also be able to use the State Schedule of Rates. By doing this they will be able to extend the benefits of the RMSA to the secondary schools. The state government shall do so without extending support in the core areas. For the sufficient implementation of the scheme it has also been asked by the state governments that the RMSA plan be taken under an umbrella scheme including all the subsumed schemes in favor of secondary education.